Kevin took his 95′ SMZ to another level this summer. 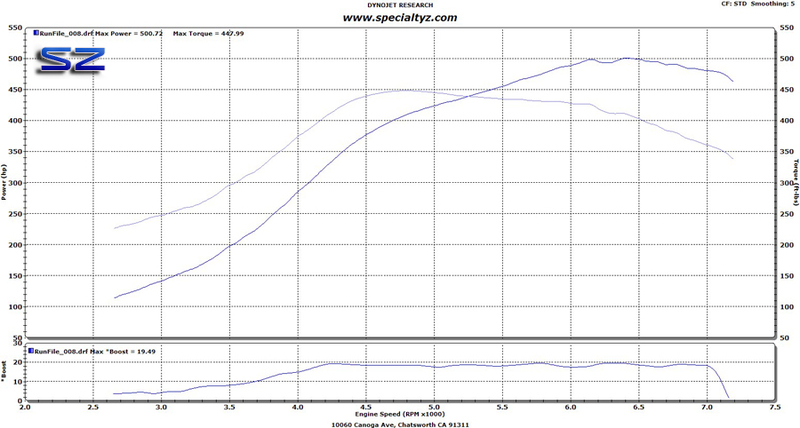 We pulled his low mileage stock motor out to add a set of JWT GTX 60 turbos, MS Manifolds, BDE (Low Pro) Motor Mounts, Nismo 740cc Injectors, Ash Inlet & IC Piping along with Massive Intercoolers, SZ 5-Bolt 3″ downpipes, SZ 3″ test pipes, and SZ catback, Blitz sbc -iD Spec-R Boost Controller. We also added our map selector to switch between tunes. 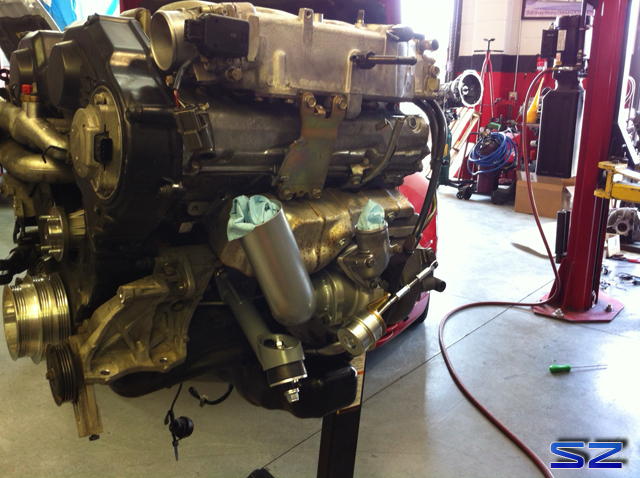 This was our first encounter with a GTX and although it was the same size as the regular GT2860RS turbo we would be able to get a better idea of how the GTX compressor wheel stacks up against the regular compressor wheel without changing its size (turbine wheel remains unchanged). 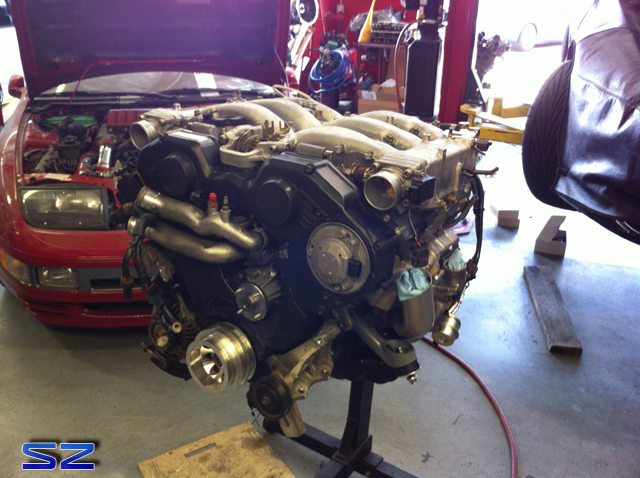 The GTX 60 modified by JWT to accept the Z32 style 2-bolt inlet flanges. A perfect time to upgrade to Ash inlets to allow it to breathe better. You can also see the anti-surge is retained even when modifying the inlet. A set of Ash Massive (v3s). The factory washer reservoir fits (late style models). 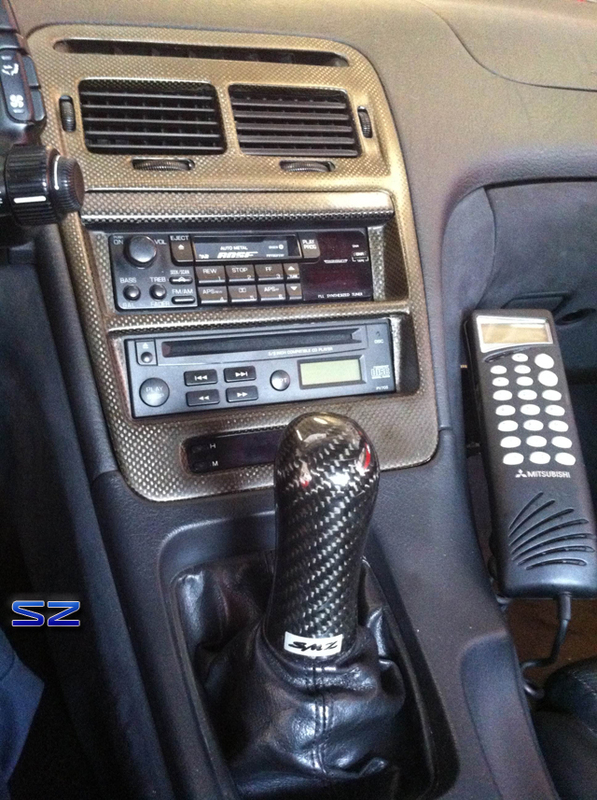 Equipped with the 90-s style in car cell phone. Balla! 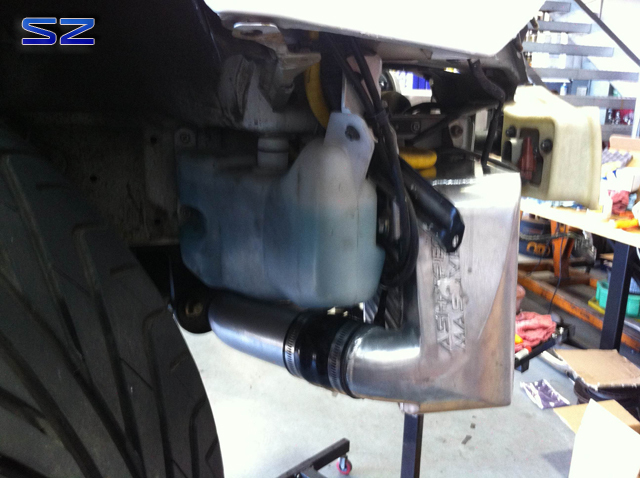 We modified the inlet pipes for the larger inlet flange provided by JWT. 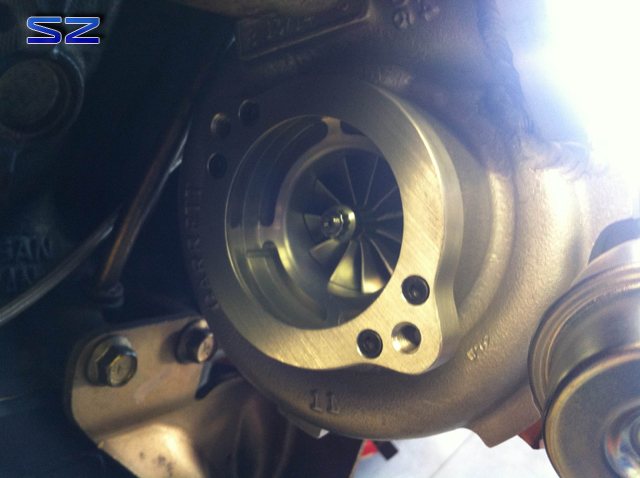 Ash makes the inlets modifiable by using a smaller inlet that can be opened up for larger inlet turbos. Ready to go to war. We retained the factory TBs on this build. 91 octane tune (this one gets away with high boost). 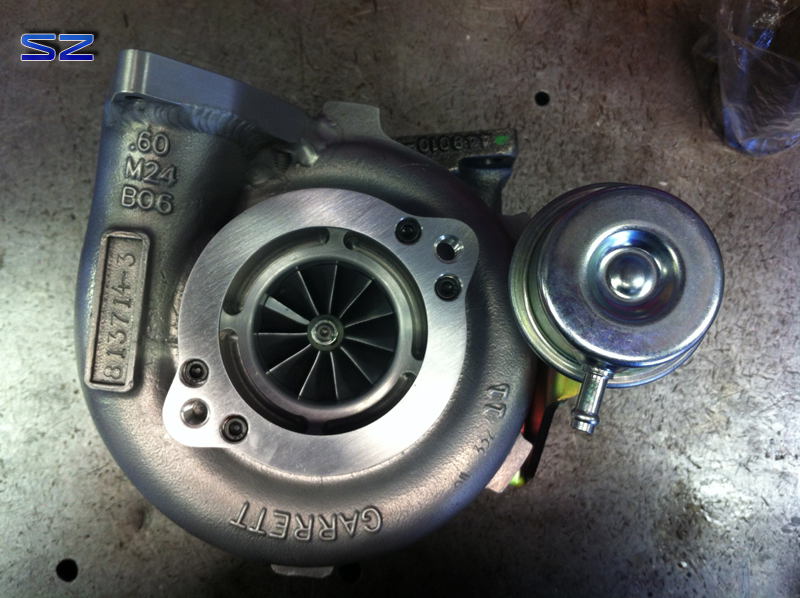 Boost being equal (14-15 psi) to its counterpart (standard GT2860RS) we found that there wasn’t any difference between the two turbos. 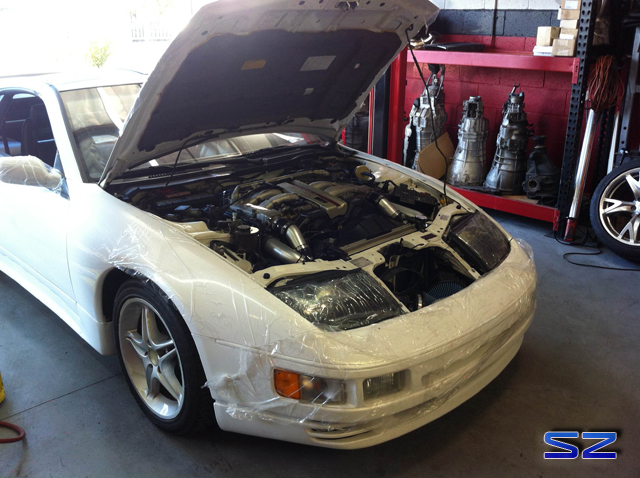 We compared the results to a few other Sport 700 (GT2860RS) builds we had done in the past. 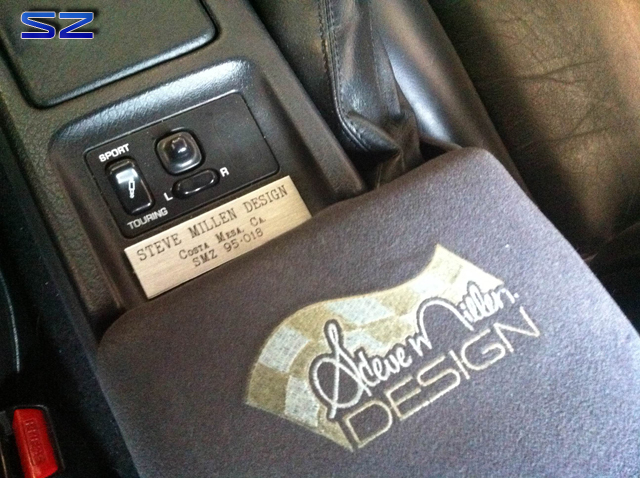 Q16 tune, this is where the GTX shined. It blows past the standard 60RS! 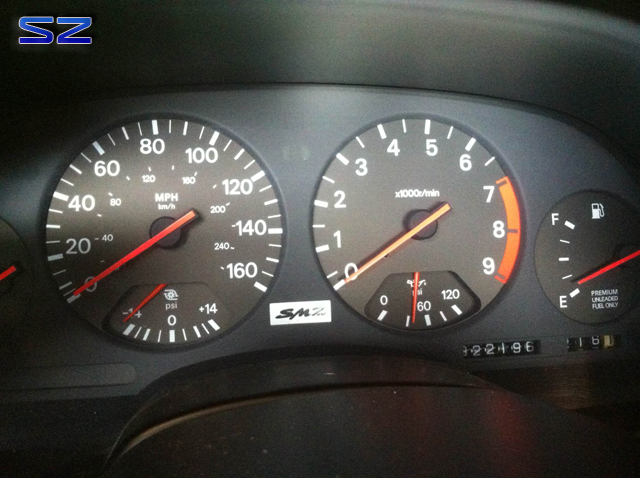 This was done on a completely stock engine (no cams, no head work, nothing!) Typical big build (built engine, cams, etc.) 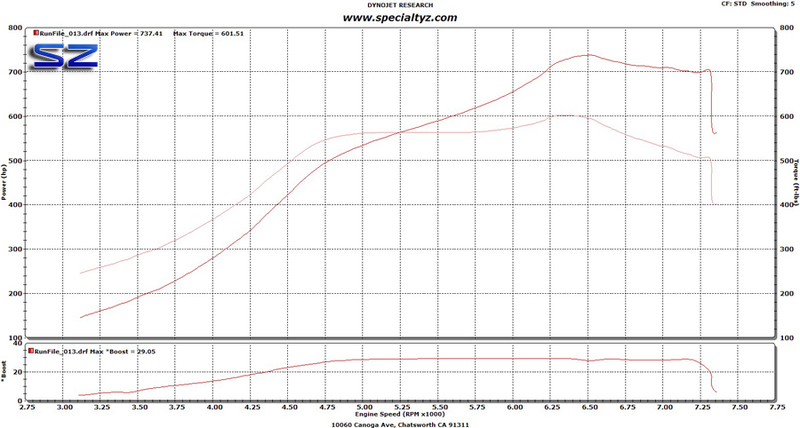 60RS’ make anywhere from 630 to 698 whp. So the power output of this wheel at high boost levels is most impressive (on a stock engine to boot). The cherry on top. 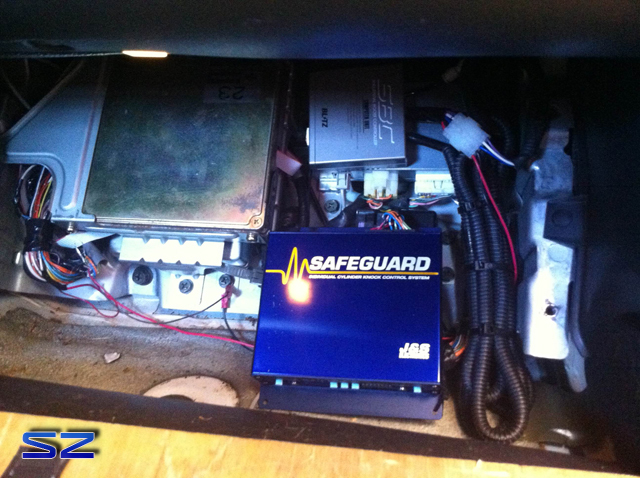 A Safeguard to protect the investment.